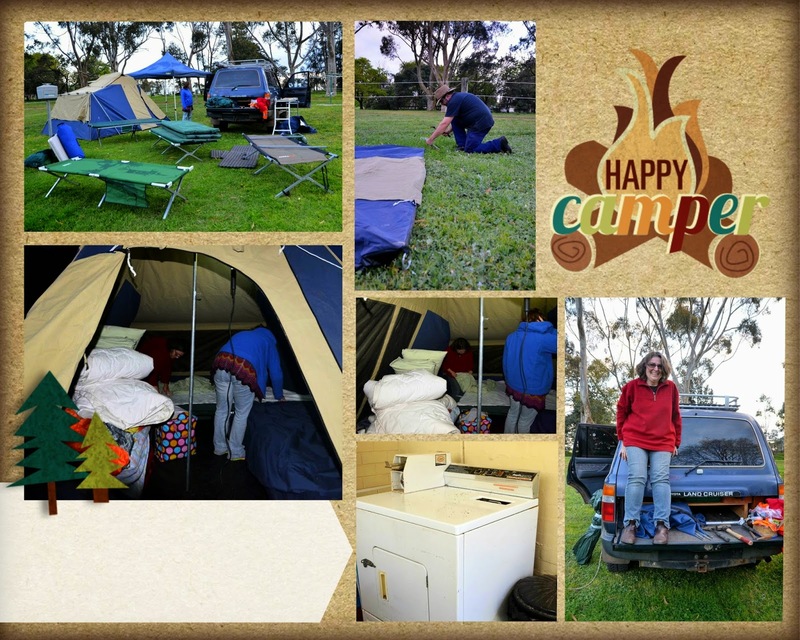 We haven't done any camping since we came home from Yowah, so our last trip was Charleville, where the weather was warmer and the ground considerably tougher! Nick had sharpened our tent pegs when preparing for this trip - and they did enter the ground quite easily! Nick predicted we'd arrive at Mortlake at around 5:30pm - and he was right! 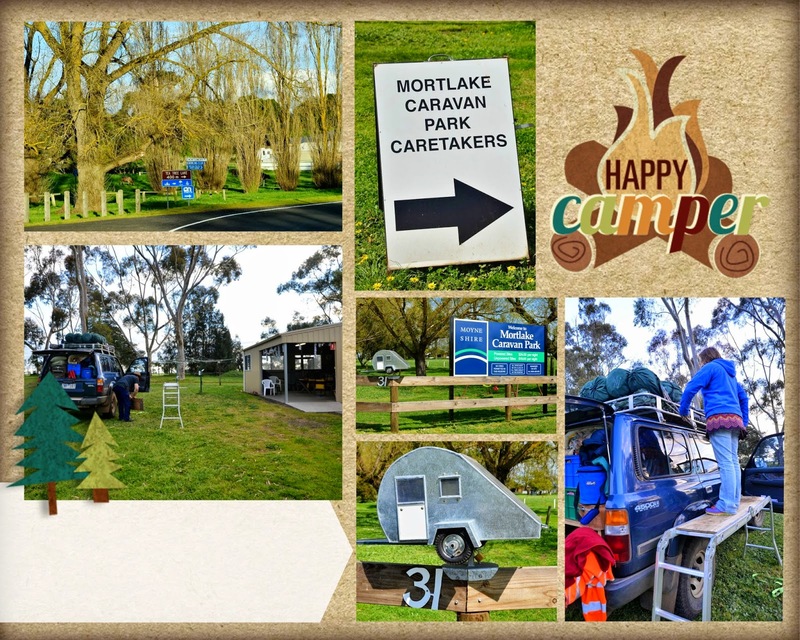 We chatted to Nola, the caretaker for a little while before setting up beside the camp kitchen (and amenities block). Several campers complimented our packing as we started putting together the tent, gazebo and beds etc! It rained quite heavily on Wednesday night. Fortunately our garbage bag water-proofing had held up reasonably well. Nick's stretcher was wet but mine was fine. (They are actually identical, I just claimed the dry one)! Our three sleeping bags travelled on the roof in a "dry" bag, similar to this. It hadn't sealed properly, so the top sleeping bag was damp. On investigation of the nearby laundry I noted both the washing machine and dryer were free to use, so after a short blast in the dryer the bag was super-hot and dry. Fantastic! I'm not sure if you can see that the dryer door was held shut by a gate bolt? !